First of all, I would like to thank those who participated in my event. You’ve heard pretty much about our experiences full of fun stories. I hope that we inspired you with our photo exhibition and I hope that all of you will soon be registered for EVS. I organized the exhibition in cooperation with the Spanish association that sent me to Croatia “Servicio Civil Internacional” in their offices and the exhibition could be seen from 28.11.2018. – 05.12.2018. Through the photos and my story, I tried to introduce to young people my experience from a year-long volunteering program in Zagreb, in “Urban Youth”. It seems that these 12 months have passed on me at the speed of light. It is impossible to believe that this incredible journey has ended. In these past months I have met a different person almost every month. I have made new friends that will always be with me in my memories but I know others will be part of my life for now on. With them I have laughed till it hurted, I´ve got fun with them way to many times. All these new people have taught me princeless lessons that made me grow as a person and to realize other aspects of my personality. With them I have partied till dawn, but I have also had meaningful conversations. Together we have travelled and discovered new places, cultures and flavours. I have made friends there and it had left me heartbroken when the time for me to leave came. I have met so many amazing people there that it made me regret that I have to leave because I still haven´t had time to share enough with them. And the saddest of it, I have met people that I know I will never see again, but have been part of my life for a whole year. EVS – European Voluntary Service – Is a European Union program where you work on a various tasks in an organization where you volunteer for at least 2 weeks and a maximum of one year. They provide you with accommodation, food, transportation, and pocket money. This is a great way to taste the life abroad. I was drawn to this thanks to previous experience in working with Erasmus. The EVS program supports the participation of young people in various forms of volunteering activities both in the European Union and beyond. When it is said “Erasmus plus”, most people think about students on exchange programs. But Erasmus Plus is not just a university program. It offers more opportunities for mobility of students who want to learn more in the areas of education, various training courses as well as youth and sports. There are many topics and many options. 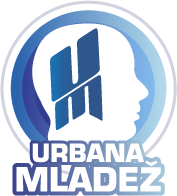 One of the sites where you can find more information about these projects is the Urban Youth Web site (the organization I come to) where calls for various training and projects are published, as well as Salto-Youth. Mostly all expenses (accommodation, food and transport) are covered. Sometimes there is a fee for participating in a project that you have to pay but is symbolic. At the end of your volunteer experience you get Youthpass. Youthpassi is a European tool for recognizing non-formal and informal learning in youth work. It helps in monitoring the development of the participants in eight competencies: communication in the mother tongue, communication in foreign languages, mathematical competence and basic competences in science and technology, digital competence, cultural awareness and expression, social and civic competence, sense of initiative and entrepreneurship, learning to learn. This volunteering experience meant a lot to me. I’ve experienced different cultures, traveled all over Europe, improved my skills, learned how to write news articles and perform interviews, write and implement projects, engage in all the activities within the organization and many more. I know for sure I am not the same, and I am excited about it. I am excited because I get to come back to my loved ones and to the city that has my heart, with a set of brand new eyes that will allow me to fall in love with my city and my country all over again. This kind of experience can teach you not to take any of it for granted ever again.